​Teri Jordan, our Practice Manager, joined Hope in 2011. She makes it her goal to make sure the Doctors and Staff provide every client and patient the best possible care every time they walk through the clinic doors. In 2018, Teri obtained her Certification from the VMC School of Veterinary Practice Management. She came to us from the University of Georgia Veterinary Teaching Hospital where she was a Small Animal Referral Coordinator for over five years. Teri graduated from Eastern Illinois University with a Bachelor’s Degree in Communications: Radio/TV/Film. Teri and her husband, Jeremy, relocated to Georgia in 2006 when Jeremy started as a Lineman for Jackson EMC. They have a 16-year-old son, Cale and a 7-year-old daughter, Finley. In Teri’s spare time you can find her on a soccer pitch cheering on her favorite Keeper or the Softball field cheering on her favorite 3rd baseman. Teri has two dogs, Digger, a black lab mix and Wrigley, a Yellow Lab. ​Leah joined Hope in 2013 and has quickly won the hearts of many of our clients. Before coming to Hope, Leah worked with building contractors at a local supply store, but her passion has been animal since the age of 13. She truly enjoys working with animals that are in emotional need, and 2018 completed her Fear Free Certification. Leah has four children of her own and two beautiful add-ons with her husband, Eric. They have an ESN in the Navy, a lawyer in Atlanta, Physical Therapy Assistant in Athens, a Fire Fighter in Dekalb County, a soon to be Senior football player and an 8th-grade baritone sax player. Leah has 6..yes six dogs. Hounds to dachshunds, she loves them all. In her spare time, Leah enjoys running 5k’s with her daughters and vintage shopping with her husband. If she could, she would run a rescue where every dog would have the love and care they deserve. Morgan Brown joined the HAMC family in July 2015! An Athenian through and through. She has loved being a part of the Hope family who has nothing but passion and love for what they do! I have always had a deep love for animals! Growing up her family had a variety of pets from dogs and cats to horses and goats. Most of her family now lives in the Tennessee Mountains on a goat farm with many other critters. Morgan and her husband, Casey currently have three pups, Cooper, Raleigh and Bear, and a kitty Jonsie bones! She is currently attending school for Surgical Technology and hopes to start trying to extend their family with a two-legged baby when she graduates! In her free time Morgan enjoys being outdoors hiking and camping with her pups, being around water in the hot summers, and up in the mountains skiing in the cold months! ​Our most recent addition the Hope family is Kathryn Kidwell, but everyone calls her Kat. She is a born and bred Georgia peach and joined Hope in January 2019. When Kat saw the receptionist position come open, she knew it was for her because of her love for animals and people. She has been married to her best friend, Cody, for seven years and is a proud fur mom to 4 dogs, 3 pigs, and a cat. When Kat is not at work, she enjoys crafting, working on her home projects and spending time with friends and family. ​Originally from Baton Rouge, Tristan moved to Athens in 2007. She has worked with animals for ten years and decided to further pursue a career in veterinary medicine. She graduated with her Associates of Applied Science Degree in Veterinary Technology in 2013 from Athens Technical College. Tristan, who has been with Hope since 2015, is currently interested in the specialty of animal dentistry. In her free time, she enjoys hiking, running, painting and gardening. She is owned by a 5-year-old border collie Jade, a 14 year Pomeranian named Geisha, three cats (Poe Sarah and Finn) and a mouse named Ralph! 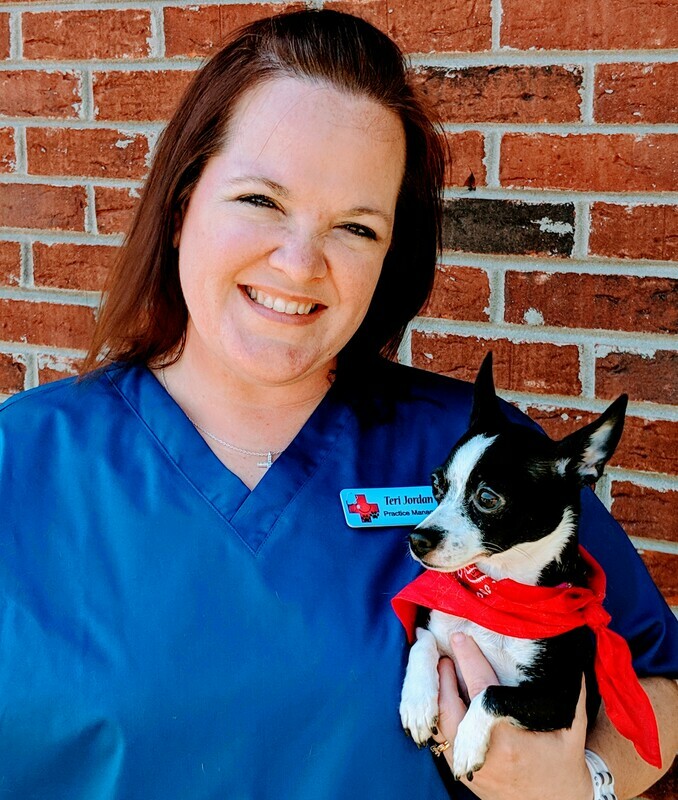 Cheyenne started in the animal field as a kennel technician, working throughout high school at a local clinic. She began at Hope in February 2016 as a kennel technician and quickly worked her way up to a technician assistant. Cheyenne is unsure where she wants life to take her, but animals will always be a part of it! She enjoys camping, hiking, and anything outdoors in her spare time. Cheyenne has the sweetest pup named Layla, she is pitbull/Chihuahua mix and is the cutest! Anna has been working as a Veterinary assistant since 2012 and joined Hope in 2017. She graduated from the College of Charleston with a degree in Biology and Psychology and wishes to further her studies in medicine. She has a Great Pyrenees; Everest, a Malamute; Luna, lots of fish and two kitties, Sullivan and Murray. In her spare time, Anna enjoys cooking, hiking, cycling, and sampling local beer. 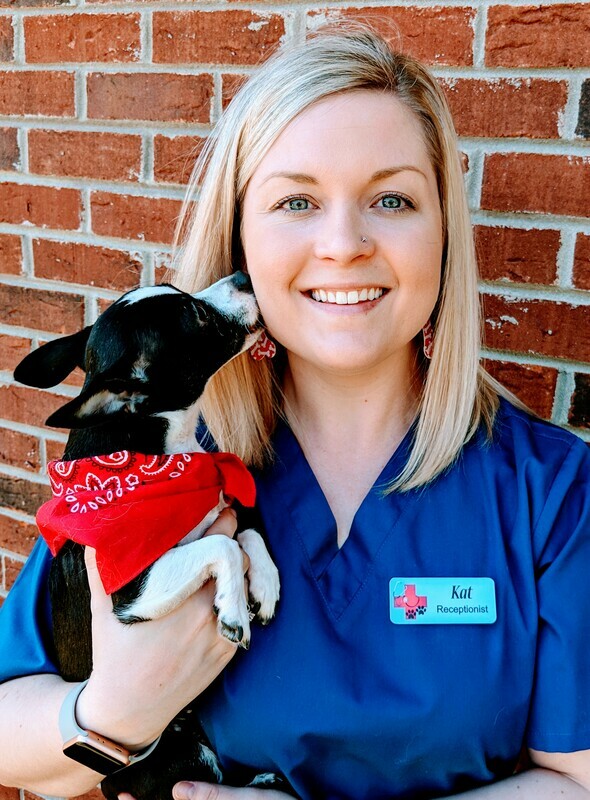 ​Katie joined the HAMC family in August of 2017 as a Veterinary Assistant. She was born and raised in Bradenton, FL and moved to Orlando to attend the University of Central Florida in 2010. Graduating with a Bachelor of Science in Psychology in 2014 and after an extensive wildlife internship, Katie decided that working with animals was what she was meant to do. Katie takes a particular interest in our feline patients (the naughtier, the better! ), as well as, animal behavior and cytology. Soon, she has plans to attend further schooling and become a Registered Veterinary Technician to fine-tune skills and improve on her abilities to make your pets feel more comfortable while in Hope’s care. Katie and her girlfriend share their home with five perfect kitties (Lucy, Liam, Roo, Teddy, and Charlie) and their spunky puppy (Jack). Outside of work Katie enjoy spending time with family, cooking, traveling, reading, watching hockey (Go Lightning! ), and being with close friends. 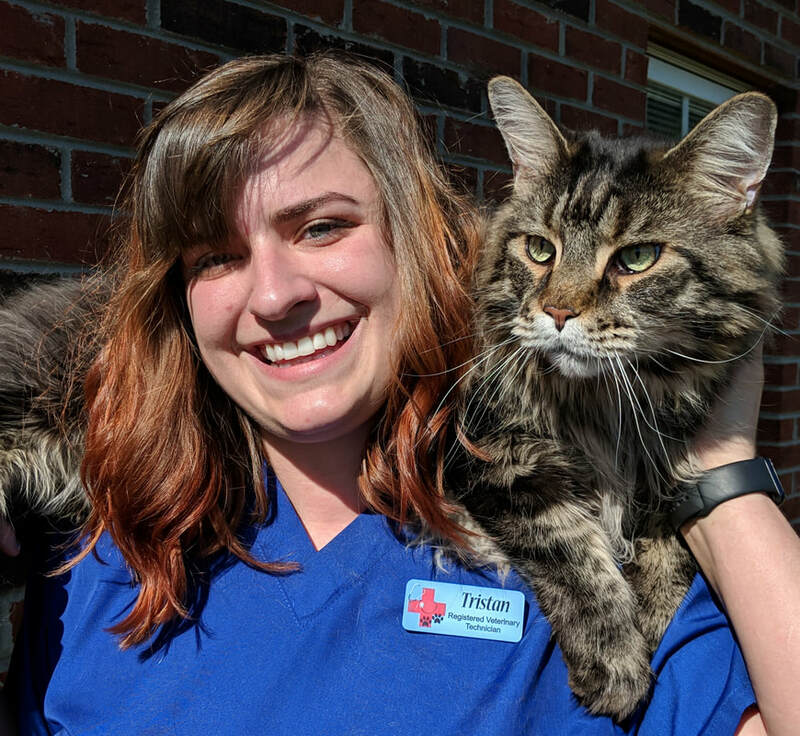 ​Nicole started working at HAMC in 2018 as a Veterinary Technician Assistant. She has moved around a lot growing up, but loves Georgia and ultimately wanted to be back in the peach state. Nicole went to military school and became certified as an Animal Care Specialist in 2017 and went to Animal Behavior College and received her Veterinary Assistant Certification in 2018. Her passion for animals is what drives her every day to continue learning and be the best that she can. She loves the outdoors (when it's warm), trying new things outside of her norm, and new adventures! She has one wild-child dog, her name is Athena, and she is a pit-husky mix. ​Rebecca recently moved back home to her Athens roots after graduating from the University of North Georgia, Dahlonega Campus, with a degree in Biology. Her track within the Biology sector was in Pre-Veterinary Medicine. She plans to settle here with her fiancé, Ewan Bain who is originally from Ayr, Scotland and graduated with a degree in Accounting. They have a lovely dog named Lilly and four cats: Walter, Chester, Angus, and Milo. In Rebecca's free time she loves horseback riding, exploring the North Georgia Mountains, and creating various genres of art. Rebecca has been working in the veterinary field for almost five years now, and she currently works as a technician assistant here at Hope. She plans to pursue Veterinary school in the next few years. Bri joined Hope in December 2017. She is a true Athenian born and raised. Bri has had a love for animals her entire life and grew up caring for her Grandmother's 15 dogs! Last year, Bri adopted her own special dog named Beans from the humane society. Working at Hope with all the different animals has helped Bri decide that she wants to pursue a career working with animals in some capacity. In her spare time, Bri likes to go to the dog park with Beans and spending time with her friends. 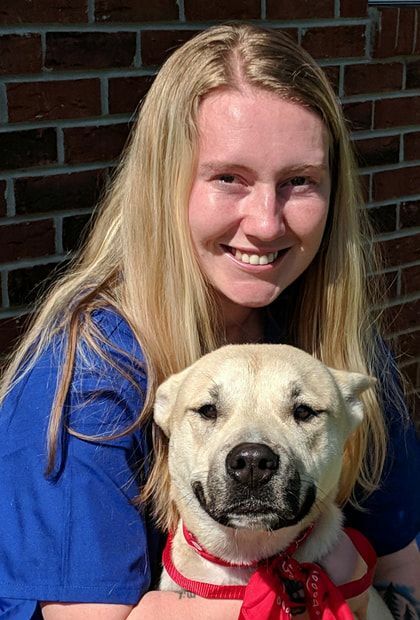 ​Amber is a Kennel Technician/Technician Assistant who joined the HAMC team in October 2018 after working at a different animal daycare/boarding facility in town. Originally from New Jersey, Amber moved around a good bit as a child and has lived in Athens for almost eight years now. After graduating High School, she studied for a couple years at UWG and UNG but took a break after realizing animals is what she wanted to focus on. Working at Hope allows Amber to learn more about animals, while also taking care of animals who are in need and because she finds pleasure in making animals feel safe when they are here. Her Mom, a Nanny, loves animals and always insisted they had at least three dogs in the house which lead to Amber’s love of animals. Amber’s Father, who is not a huge animal lover but has to put up with her Mom’s dog collection, is the manager at a building materials corporation. They both knew as soon as Amber was old enough to support herself she would adopt a dog of her own, which she did and it was the best decision she ever made. Stewart is a two-year-old Terrier/Chihuahua mix and is the friendliest, happiest dog in the world. He even smiles when he gets excited. Animals have and will always have a significant impact on Amber’s life. In 2018, Amber decided to become vegan because she wanted to align her actions with her values, a love for ALL animals. She began advocating for animal’s rights through social media and in any conversation she possibly could. In the future, Amber wishes to have enough land to rescue/adopt all kinds of animals from shelters to slaughterhouses. Julie has been with Hope since September 2016. Born and raised in Georgia and Julie has been in Athens on and off since she was 8yrs old. She has been married to her wonderful husband Thomas for 12 yrs and has two children, Caden and Rylee. 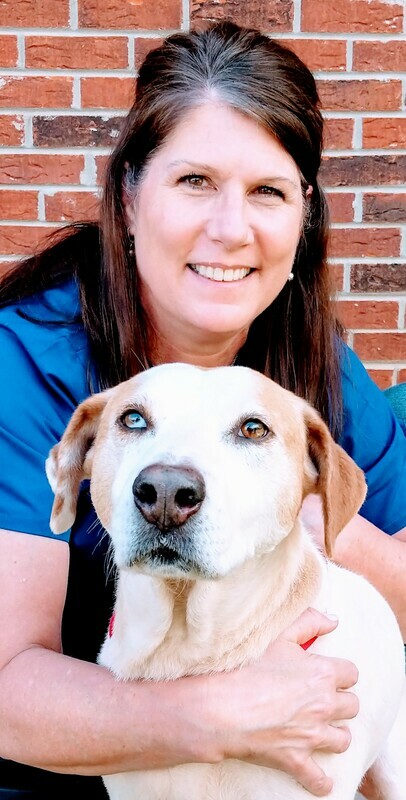 Julie has always loved animals since she was a child and even has the nickname Ellie Mae from her parents because she was always rescuing something and bringing it home. Julie gets her love of animals from her dad and knows that he would be very proud of her and the difference she has made in many animals lives. Julie currently has a Great Pyrenees, Badger, and Chihuahua named Foxy and two tabbies named Baby Cat and Bunny. In her free time, she enjoys saving animals, caring for the elderly and spending time with her family. She has learned a lot from all of the wonderful staff at Hope and is genuinely grateful for the opportunity.